This listing is for one of our newest printball props! Meet the Mine-Cutter Version 2.0. 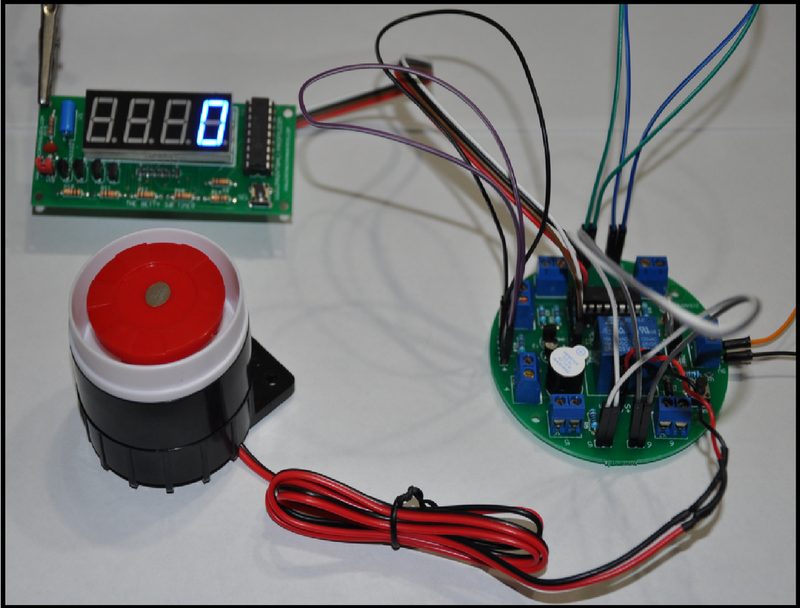 Easily program one deactivation wire and countdown timer, and you're off to the races! This set only takes a few seconds to program ,and it is EASY! There are six wires in total. At the beginning of each game, you'll have the opportunity to program any wire from wire#1 to wire#6 as the deactivation wire. All other wires will activate the included siren! The blue countdown timer set can be programmed for any game length between 00:01 and 99:59 (1.5 hours). The above video offers a full demonstration of all modes of operation. This listing comes with a fully assembled Mine-Cutter module, 20x female-female wire connectors that plug directly into the board, a countdown timer board, and a 9-12v LOUD siren! All of this comes to you fully assembled and tested. You can pluck the wires (and reuse them) or cut them. You also have the option of using your own wire. I'll speak more in this below. 1) This device comes assembled, but without a casing. It is up to the user to mount both boards and the loud siren. 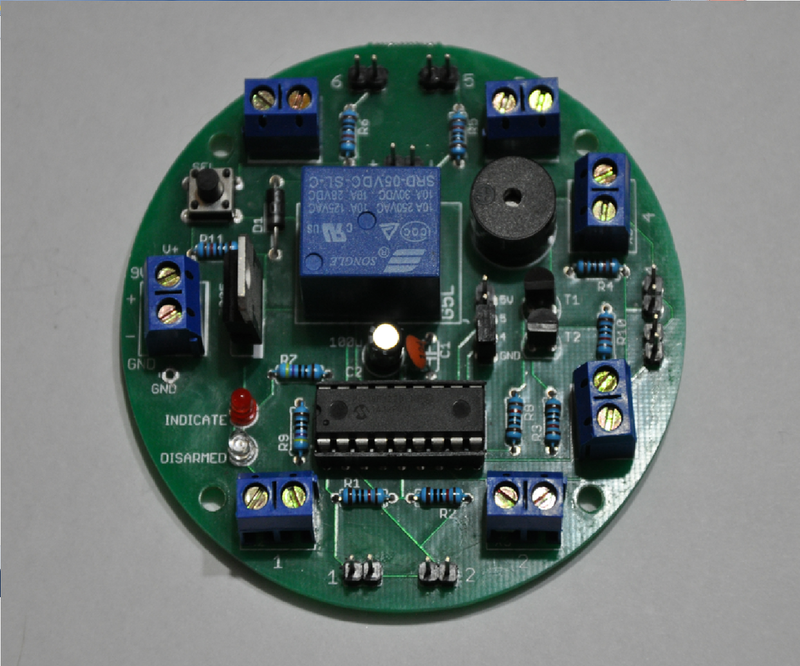 The mine-cutter board, countdown timer board, and loud siren each have mounting holes for easy installation. As well, the siren has the option of using a two-sided tape strip on the back of the siren. Simply remove the protective layer, and stick your siren to your project box. 2) A solid 9-12v power supply is required (Not included). If the voltage at the input drops below 7v, the device will likely have issues when the siren is enabled. 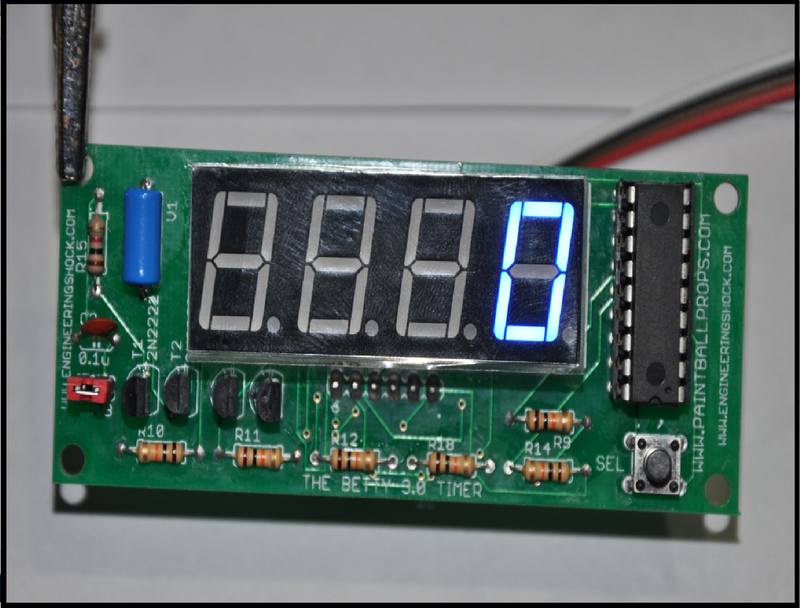 This unit requires less than 10mA of current when the LEDs are off, and when the siren is off. When the siren is enabled, it can take up to 500mA. It is suggested that the user use a 9-12VDC power supply capable of sourcing AT LEAST 500mA. When you first power up the board, if all of the wires are not properly connected, then the red "INDICATE" LED will blink until you've properly made all of the wire connections. If you do not wish to use the female-female wire connectors, you have the option of connecting your own wires to the included terminal blocks. The wire terminal blocks are labelled 1, 2, 3, 4, 5, and 6. Beside each terminal block is a two pin header. Said headers are also labelled 1 through 6. The red "INDICATE" LED, the green "DISARMED" LED, and the on-board piezo buzzer are all acting indicators. If you power up the unit, and all of the wires are properly connected, then the green "DISARMED" LED will blink 5 times, which tells you that the unit is ready to be programmed. On the upper left quadrant of the board, there is a button labelled "SEL". This will be used to program the deactivation wire, and to disarm the unit after the siren has been triggered. Once you've powered up the board, and the green LED blinks a couple of times, it means that you get to choose which wire will be the deactivation wire. This is fun! If you look at the main board, there are six flying wire sets. If you hold down the "SEL" button, the green LED will flash once, then there will be a short delay. If you continue to hold, it will flash two times, followed by a delay. If you continue to hold, then the LED will blink three times followed with a delay. Then four times, then a delay, then five times, then six times, then back to one flash if you are for some reason still holding it =). If after any of those six intervals you let go, then the programmed wire will be as many as the LEDs have flashed. Meaning that if I let go immediately after the green LED flashes three times, then W3 (wire#3) will be the deactivation wire when in active mode. All other wires will trigger the alarm. Once you have chosen your wire, the buzzer will pulse several times, which indicates that the board is now scanning for a wire to be plucked. This is kind of hard to describe. I hope that if I've confused you, that you take the time to watch the demonstration video! This is simple. As soon as you are done programming your deactivation wire, you will need to program the time duration of your game. You will notice on power up that the right-most timer digit will be lit up. This is the "Single-Second" digit. If you wish to increment the value for this digit, tap the button on the countdown timer board. If you wish to move one digit to the right, press and hold the button on the countdown timer. Now that you've selected the second digit to the second digit to from the left, you are now programming the "Ten-Second" digit. You can tap to increment this digit, or press/hold the button to skip to the "Single-Minute" digit. Tap to increment, or press/hold the button to skip to the right most digit, which is the "Ten-Minute" digit. Tap to increment, or press/hold to clear the timer. Once the timer is cleared, press the button on the countdown timer to start the game! At this point, the countdown timer will start counting down one second at a time. There is a small jumper on the countdown timer board. If you have this jumper placed, then the "Vibration/Tamper" mode will be in effect. If you have this jumper placed, and you man-handle the prop, then the countdown timer will begin to countdown ten times as fast, as a tamper mode. If you don't wish to enable this mode, simply remove the jumper. When the alarm & relay is activated when the system is triggered, the user WILL NOT be able to turn it off until after the red LED is turned off. When the alarm is triggered, the user has to wait a minimum of 5 seconds until that red LED turns off before the alarm can be deactivated. After the red LED turns off, the user can press the the SEL button on the main board to reset the unit.